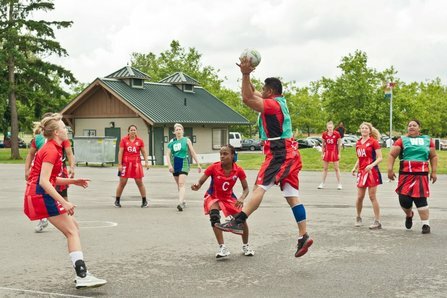 There was a fabulous buzz in the air as our club prepared to welcome teams from around the US to Seattle. 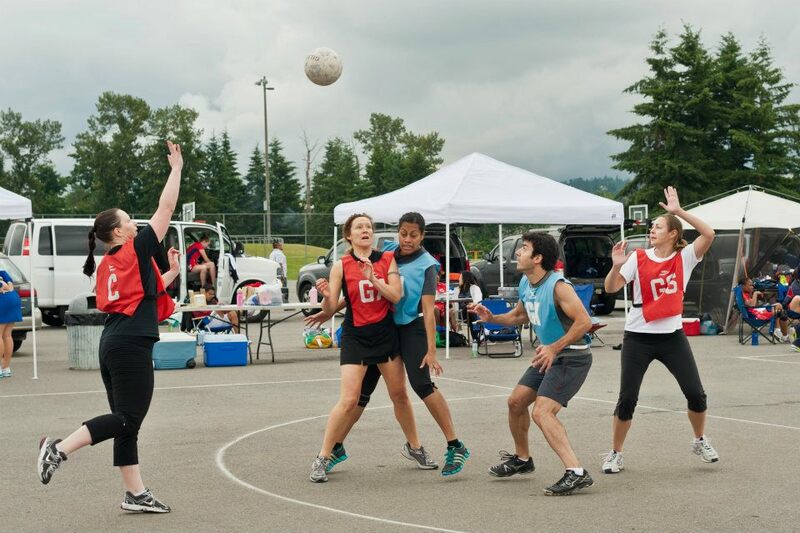 We were excited to host our first West Coast Tournament and invited our friends from all over to attend. 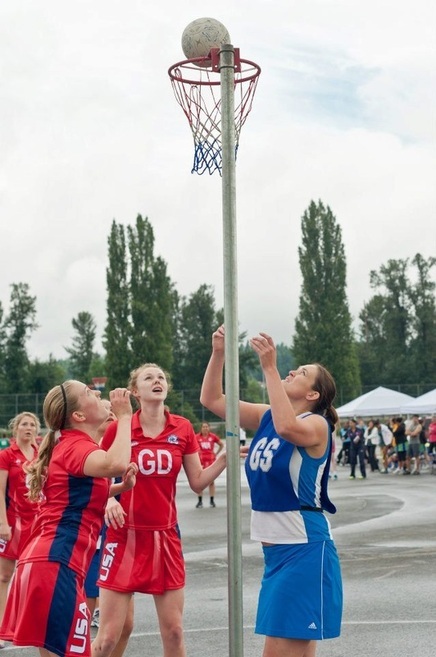 We had entries from the San Francisco Stars, San Mateo Redballers, Vancouver B.C. Comets, as well as individual players from LA & Houston. We were also very pleased to welcome the first ever Team USA as they used Seattle as a last stop in their training season before heading to South Africa for the World Collegiate Netball Championship Games. 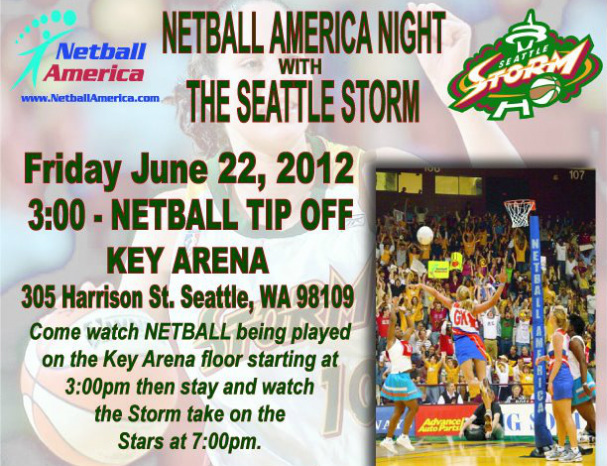 Before all this fun, we had the pleasure of hosting a Netball Showcase Event at Key Arena before a WNBA Seattle Storm game. 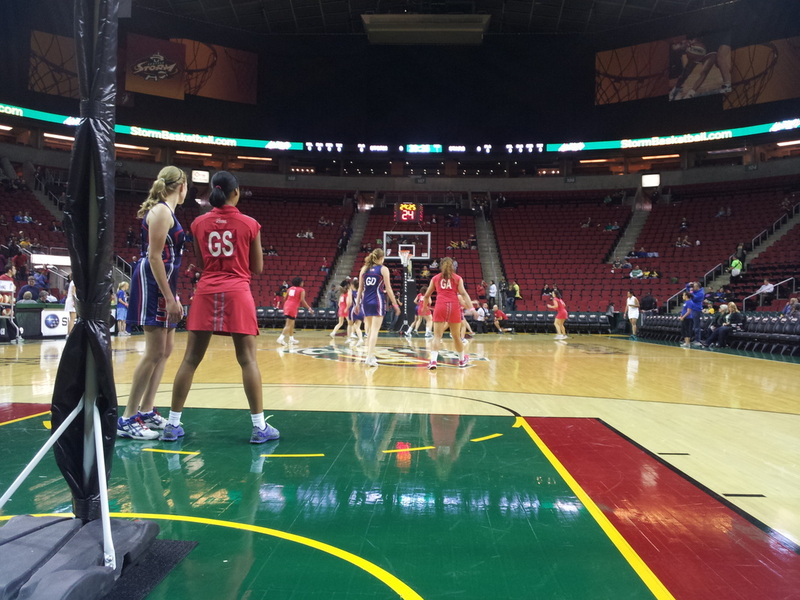 In conjunction with Netball America, we were able to play on the Key Arena floor and introduce Seattle basketball fans to the awesome sport of netball. 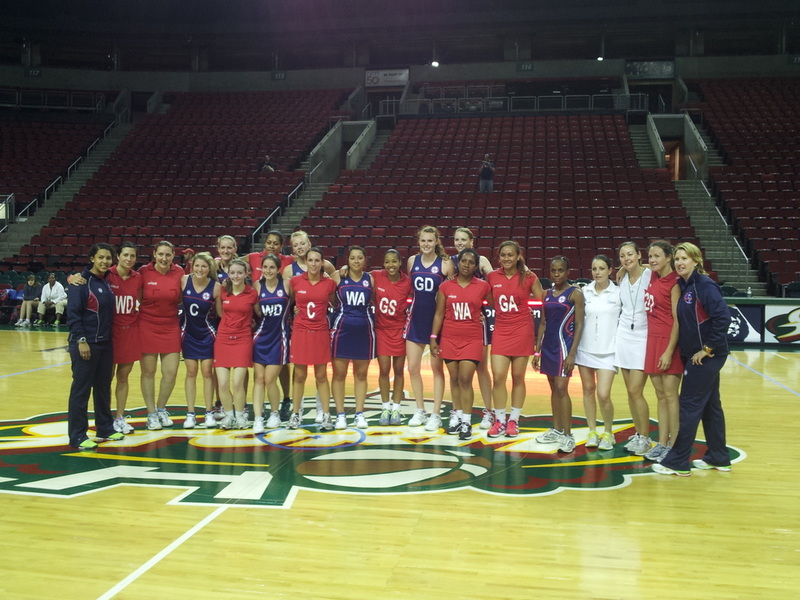 Emerald City took on Team USA on the Key Arena floor for a fantastic game!